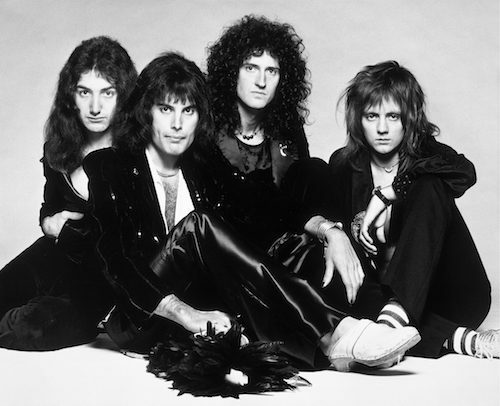 11 December 2018 (Toronto, ON) – Universal Music Group (UMG), the world-leader in music entertainment, today announced “Bohemian Rhapsody”, the iconic single by British rock legends Queen, officially became the world’s most-streamed song from the 20th Century, as well as the most-streamed Classic Rock song of all time. UMG’s teams around the world have actively promoted discovery across streaming platforms, physical reissues, merchandise and experiential programs to introduce “Bohemian Rhapsody” to new fans more than 40 years after it was first recorded. Today, the original song and official video for “Bohemian Rhapsody”, taken from Queen’s seminal 1975 album A Night At The Opera, surpassed 1.6 billion streams globally across all major streaming services. “Bohemian Rhapsody” is regularly cited as one of the greatest songs ever recorded. In 2004, the song was inducted into the Grammy Hall of Fame and Freddie Mercury’s vocal performance was named by the readers of Rolling Stone magazine as the best in rock history. Brian May, Queen’s guitarist and founding member said, “So the River of Rock Music has metamorphosed into streams! Very happy that our music is still flowing to the max!" UMG represents Queen’s iconic catalog globally outside North America, as well as providing support to the band across global merchandise, retail licensing and brand management through Bravado, UMG’s brand-management and merchandise company. UMG also produces and distributes audio-visual releases from Queen via the company’s Eagle Rock division, the leading producer and distributor of music programming for broadcast, DVD, Blu-Ray, TV and digital media. These releases include Queen documentaries, concert films and their award-winning immersive virtual reality film ‘VR The Champions’. In North America, Queen’s recorded music catalog is represented by Hollywood Records. The Soundtrack to Bohemian Rhapsody is available now on Walt Disney Co.’s Hollywood Records and UMG’s Virgin EMI. -Bohemian Rhapsody was Queen's first Top 10 hit in the US. In the UK it went to #1 for 9 consecutive weeks, a record at the time. -Bohemian Rhapsody is the only song in history ever to have topped the U.K. charts twice at Christmas. -The video for Bohemian Rhapsody is generally recognised as the first promotional music video ever and was based on their Queen II album cover. It was directed by Bruce Gowers and was shot in 3 hours for a cost of £3,500 at the time at the band's rehearsal space. -Bohemian Rhapsody has been covered by many artists over the years, including Pink, Kanye West, Robbie Williams, The Royal Philharmonic Orchestra, Montserrat Caballe, The Muppets and Elton John & Axl Rose (for the Freddie Mercury tribute concert in April 1992). The methodology used to determine the most streamed song of the 20th century includes all registered streams on global on-demand streaming services including Spotify, Apple Music, Deezer, etc., as well as streams from official song/video streams on YouTube.